The mission of Pilgrim Baptist Church, in accordance with the written Word of God, is to purify our members (Ephesians 5:26-27). Let the Lord God purge us through divine chastening (St. John 15:2) and let believers purge themselves (I Corinthians 11:28-31). Pilgrim will practice discipline (Acts 5:1-11), educate our members (Ephesians 4:11-12) and have a desire to evangelize the world (St. Mark 16:15). It becomes, therefore, the mission of the church to promote all social, economic, political, and educational welfares of the community as a living testimony to Christ. During the early years of the 20th century, six persons known as the Pilgrim Prayer Band held spiritual services in their homes in Roanoke, VA. From these services, the Pilgrim Baptist Church was organized in 1915 under the leadership of Rev. Floyd Patterson. As the congregation grew, Rev. Patterson quickly moved services from the homes of the Pilgrim Prayer Band members to a storefront on 7th Street in northeast Roanoke. Within the next few years this storefront property was purchased by church members and then demolished to build the second home of the Pilgrim Baptist Church. Born out of the spiritual vision of these strong Christian believers, Pilgrim has grown and flourished for more than nine decades. From these humble beginning, Rev. Patterson was followed by five dedicated men of God including Rev. Benjamin Law, Rev. Carl Gill, Rev Thomas Holmes, and Rev. Robert Jeffrey. After 40 years at the 7th Street location, and under the leadership of Rev. Carl Gill, members of Pilgrim moved on to a new church at 13th and Rugby Blvd in northwest Roanoke. 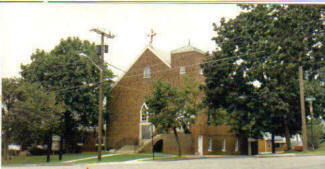 The church on Rugby Blvd was home to Pilgrim for another 40 years. 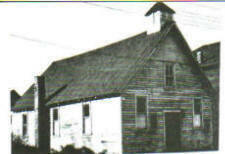 The year 1987 marked the beginning of a new era for Pilgrim Baptist Church under the guidance of Rev. Dwight O. Steele Sr., who became the church’s sixth and current pastor. Rev. Steele was called to provide a continuity and stability for Pilgrim that has produced tenure second in longevity only to that of the first church pastor. Rev. Steele established himself as a dynamic speaker, musician and visionary that brought new life to Pilgrim, resulting in a dramatic increase in church membership and creating the need to erect a new edifice. In March of 1993, the Lord blessed Rev. 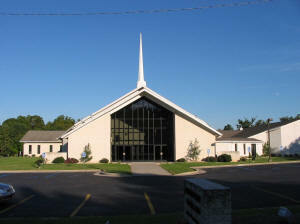 Steele and the Pilgrim family to be able to motorcade to the ribbon-cutting ceremony of our new and current church location at 1415 - 8th Street, NW, Roanoke, VA. Under Rev. Steele’s leadership, the church has grown and flourished for the past 22 years. And as a testimony to God’s everlasting grace, Pilgrim Baptist Church now boasts a body of believers of over 1,000 committed souls. We are followers of Christ who are excited about what God is doing in our lives and how He will touch the world through us. We continue to serve the Lord and look to our future as we count our many blessings and seek further opportunities for God’s kingdom. May we be ever mindful that “We can do all things through Christ who strengthens us.” (Philippians 4:13).